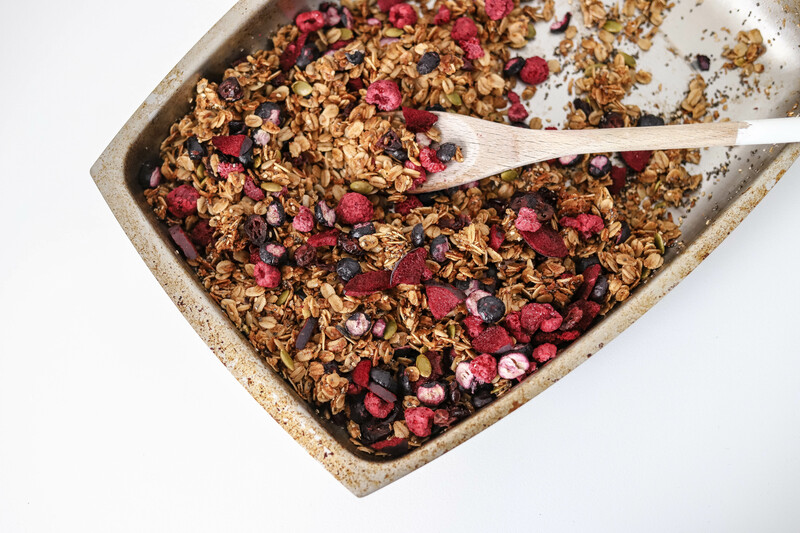 Over on Instagram I was calling this recipe a clean muesli, but after googling the difference from granola and muesli I realised this recipe is actually a clean granola! 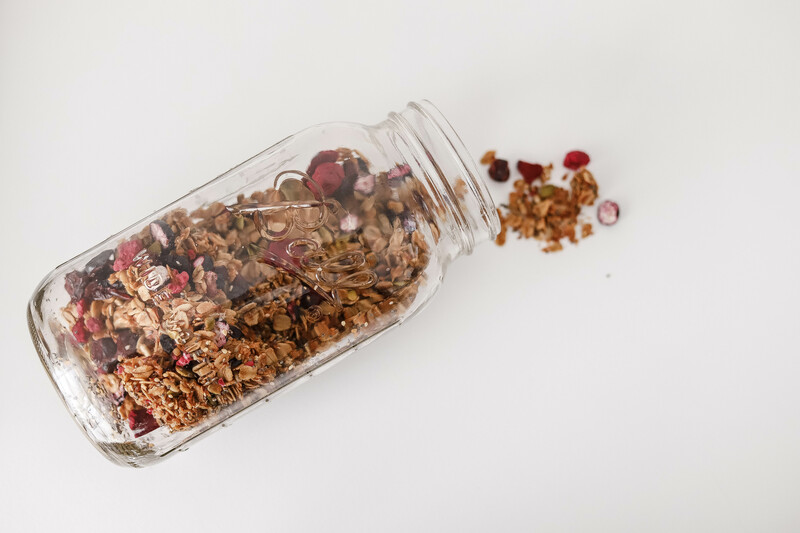 Here I was thinking they were the same thing and possibly Americans used the term granola and here in New Zealand we called it muesli, whoops! 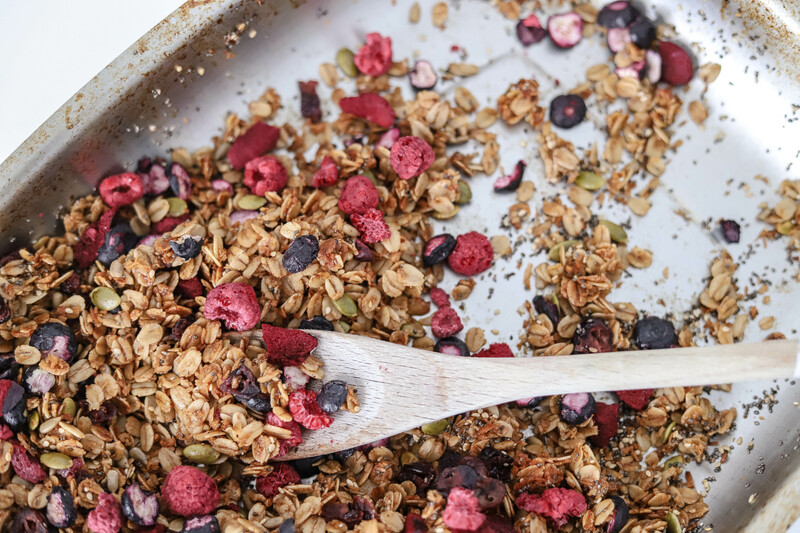 The difference is that granola is baked along with added sweetner (I’ve used honey) and oil. 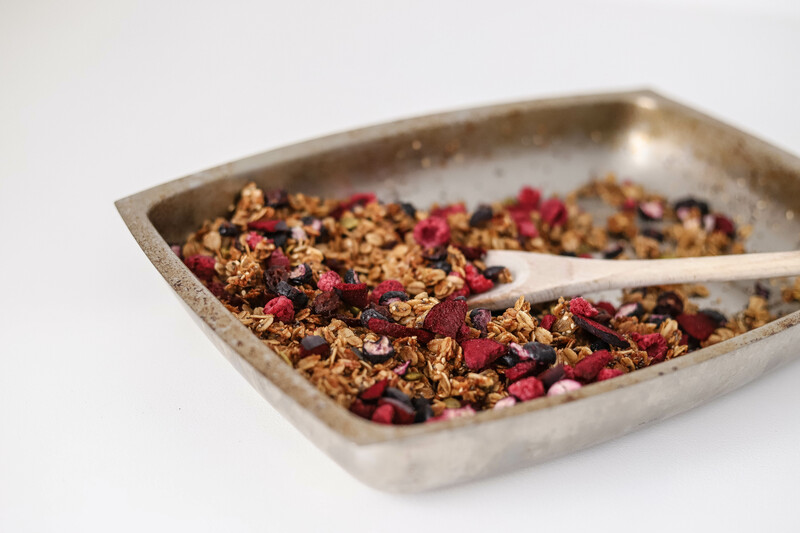 I know I definitely prefer granola as I think baking it really brings out all the flavours! 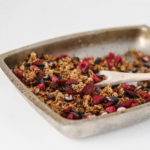 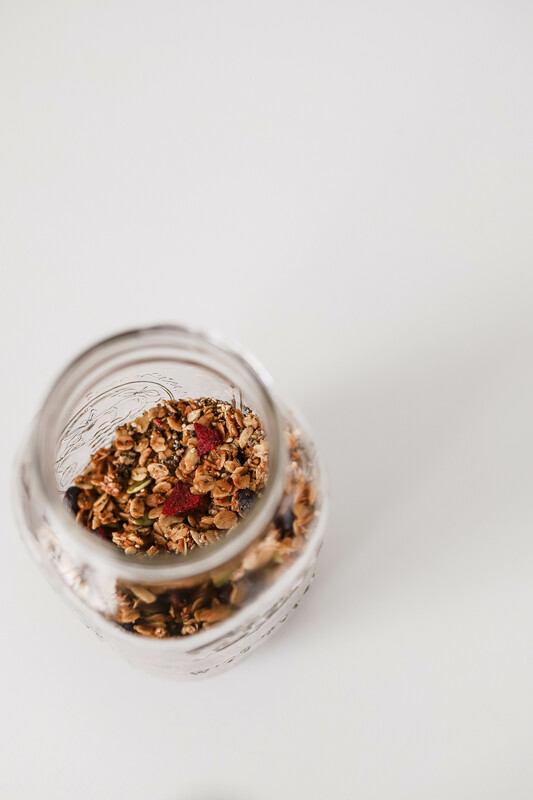 If you are looking for a healthy but really delicious granola recipe I urge you to give this a go, it really is yummy! 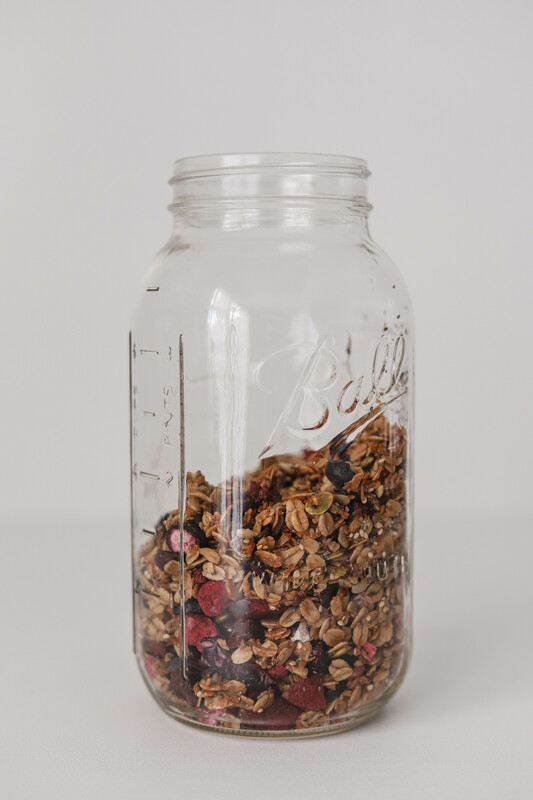 I make up a batch, store it in a large jar and shake up the jar before serving to make sure you get all the good bits every time! 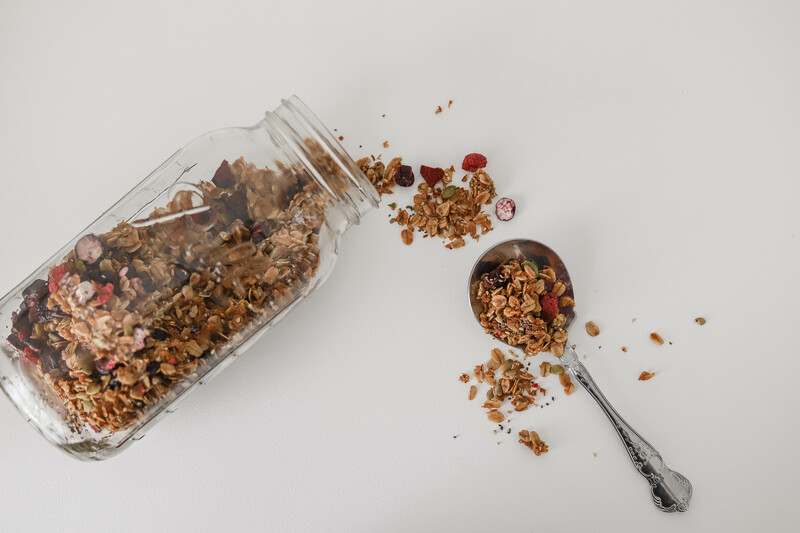 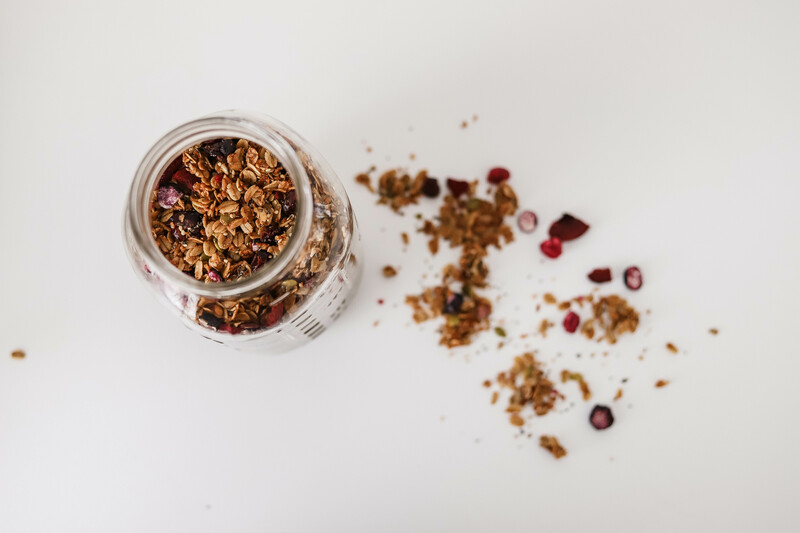 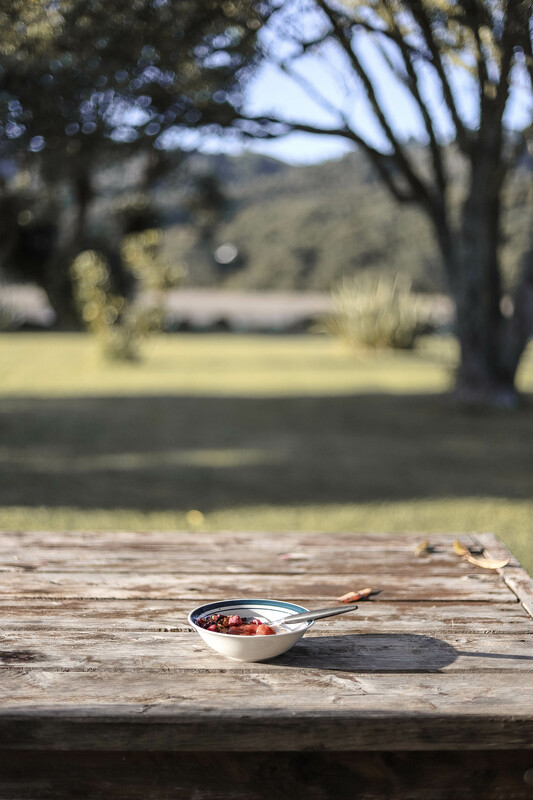 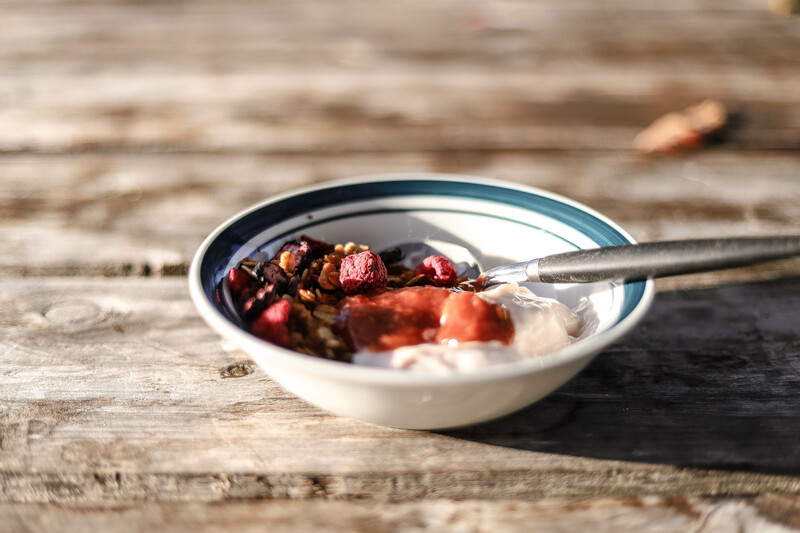 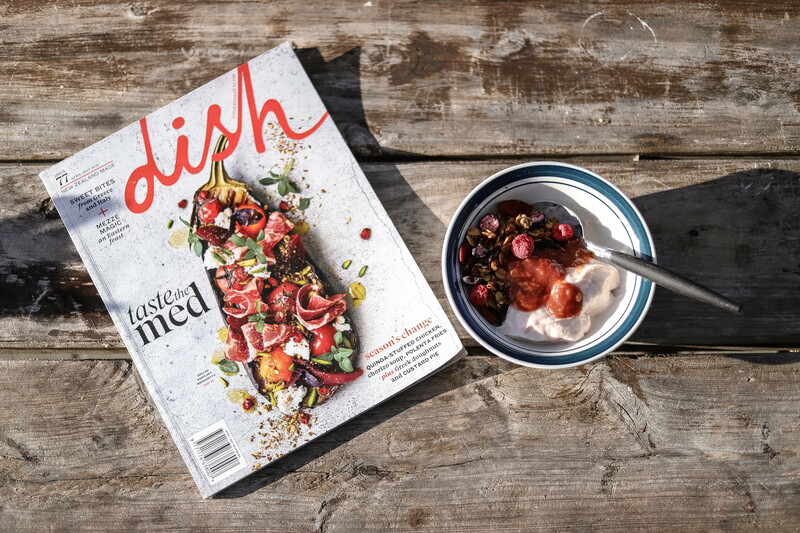 Serve it up with some yoghurt and fruit of your choice and if you want to take it to another level I love to eat my granola with Barker’s of Geraldine Strawberry, Rhubarb & Raspberry Compote and natural yoghurt. 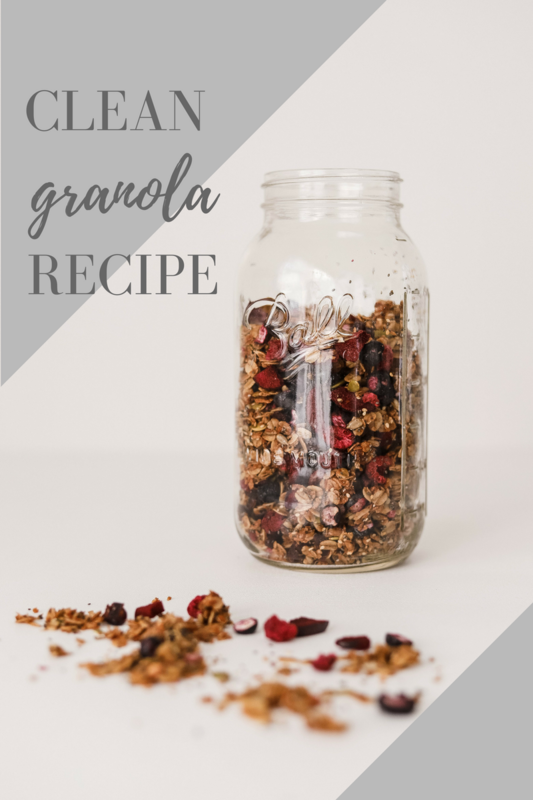 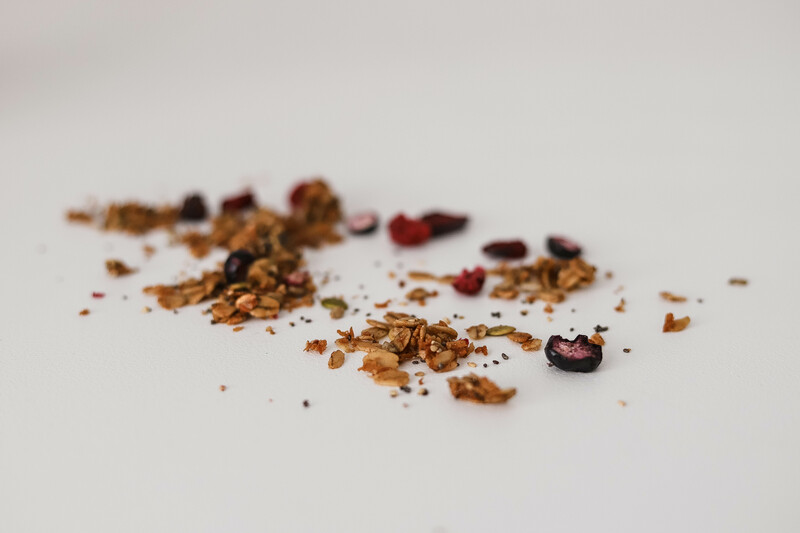 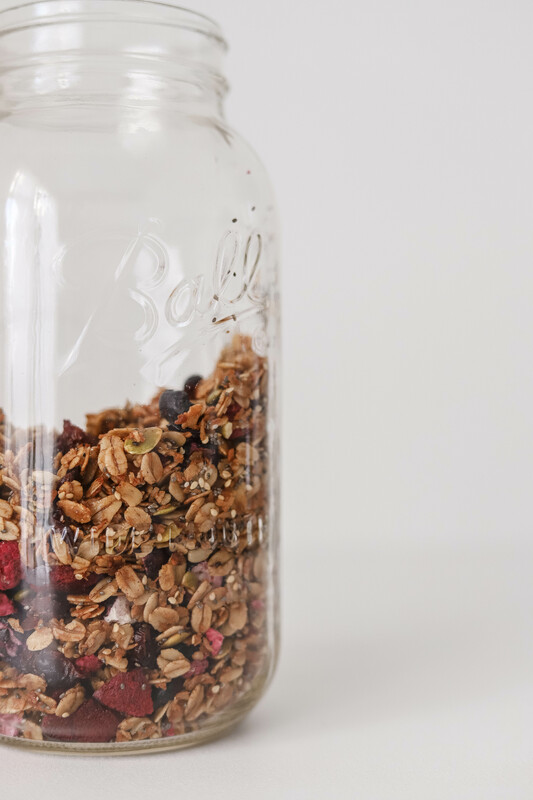 Scroll down for the granola recipe you can print it off or pin it on Pinterest for later. 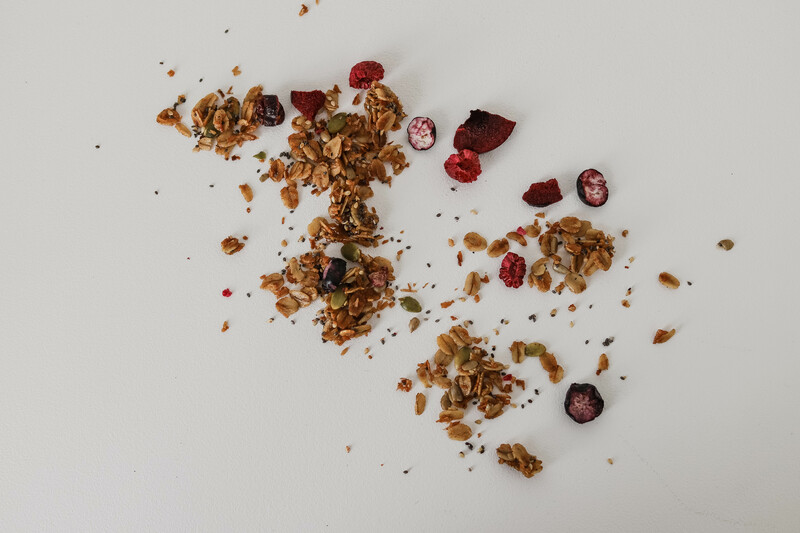 If you do make it please tag me #thestyleaesthetic on instagram so I can see.